2-8-2 4100 at Memphis, Tennessee on October 13, 1955 (Arthur B. Johnson). 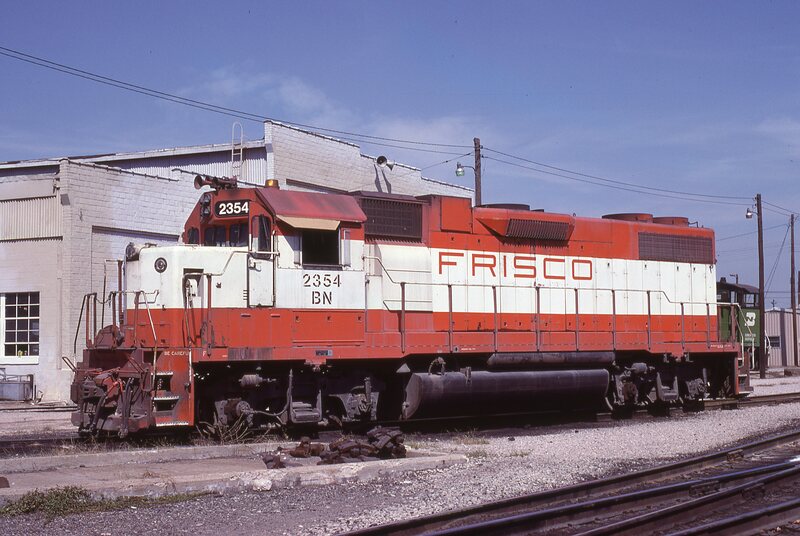 GP38-2 2354 (Frisco 684) at Birmingham, Alabama in February 1982 (Lon Coone). 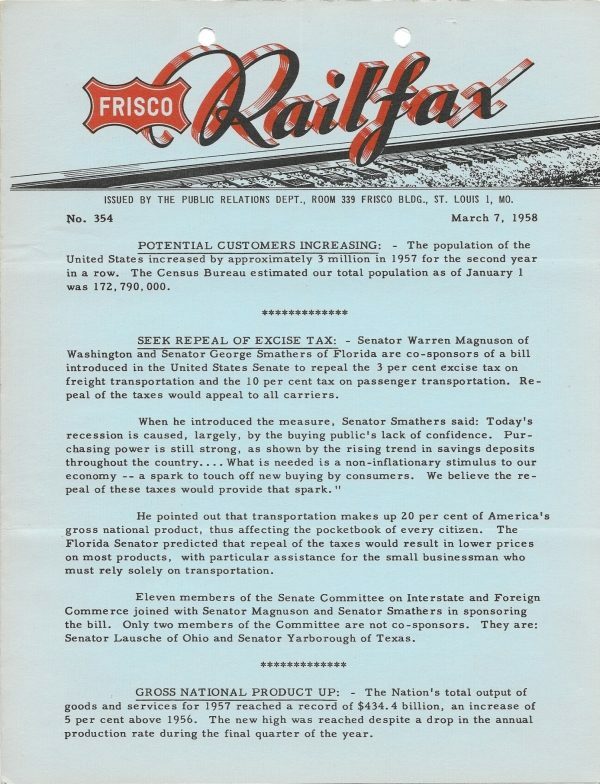 Railfax 354 – March 7, 1958 (PDF). 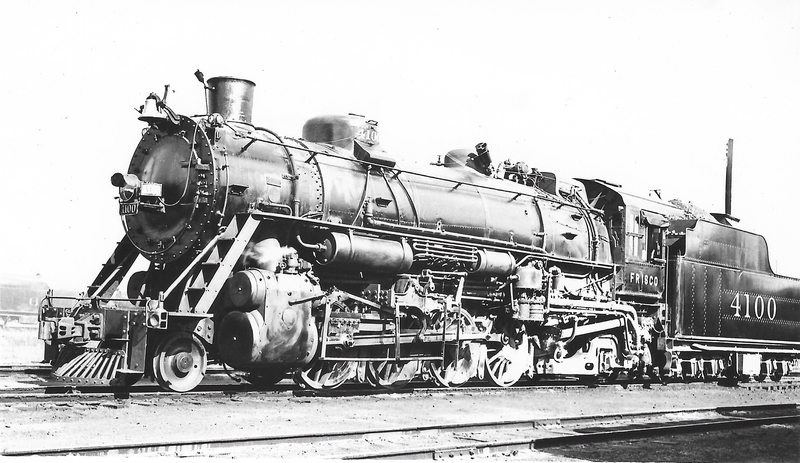 GP38-2 692 at Fort Worth, Texas on September 7, 1980.